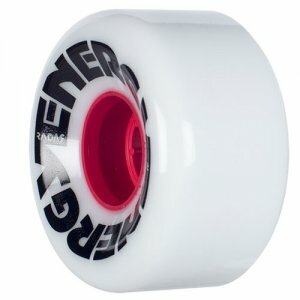 ﻿ Radar Energy 62 Wheels - $25.00 : Bruised Boutique, For Derby. By Derby. The Energy is the best outdoor wheel on the market. The Energy features the finest outdoor urethane available. The formula has extremely high rebound properties to glides smooth and fast over rough surfaces and small debris. It’s high tensile strength makes it durable and long lasting. Energy are perfect for any outdoor surface. Energy 62 is the medium size wheel in the Energy line. They are fast, long lasting, and light.